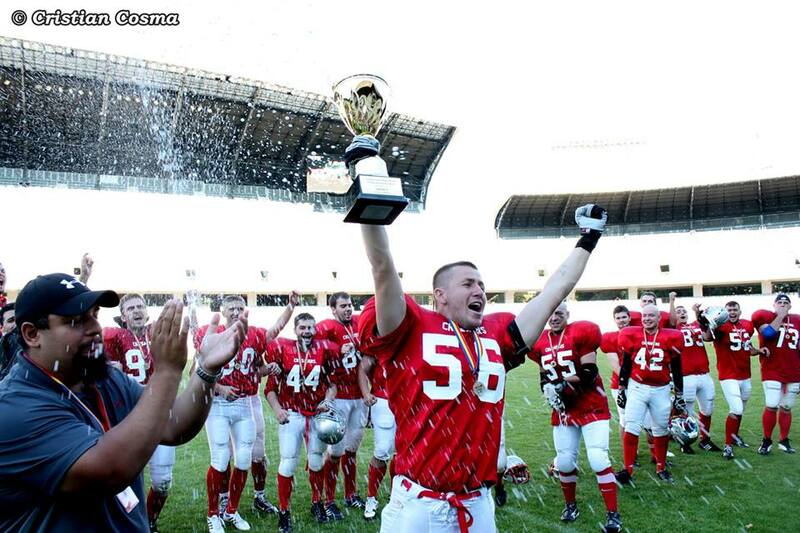 ROBOWL IV or the National American Football Championship Final took place Sunday afternoon in Cluj Napoca, Romania. 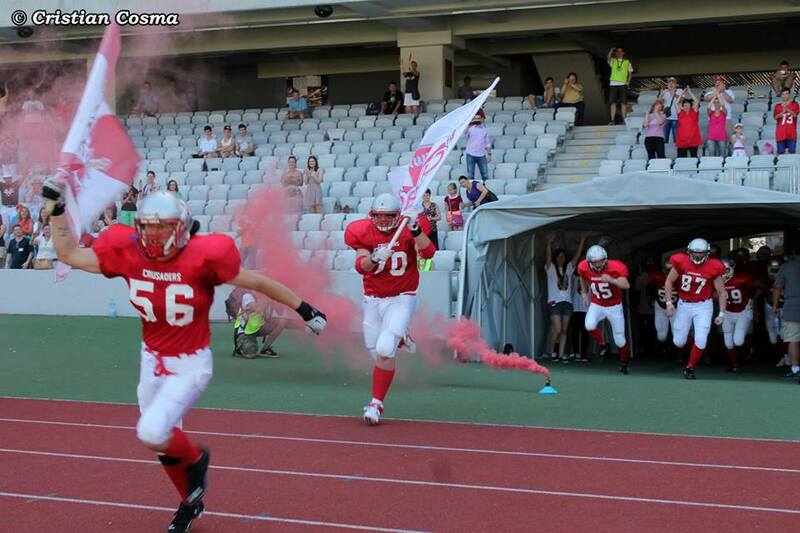 The hosts, Cluj Crusaders, have encountered Timisoara 89ers for the second time in this season. 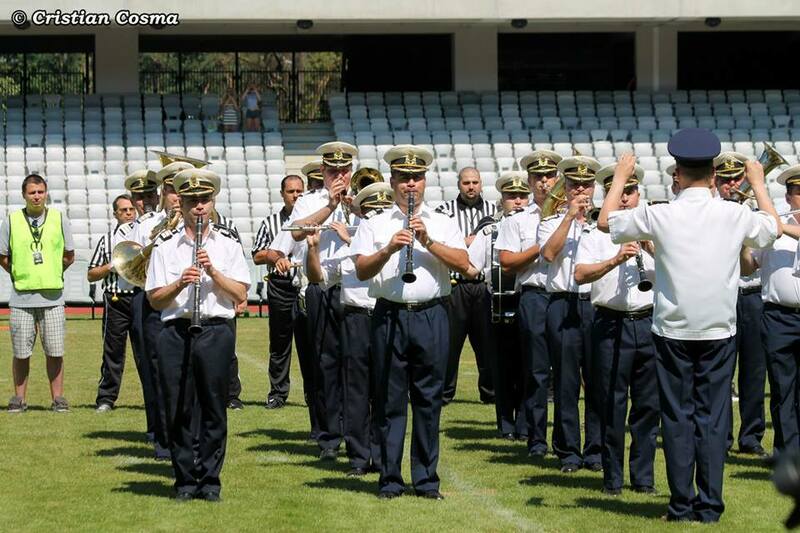 Before the game, 4th Infantry Division Military Band "Gemina" sang the national anthem. The audience witnessed a unique event when a Crusaders player proposed his girlfriend in the cheers of the crowd. The first quarter started with Crusaders offence, but thanks to a well organized defense of Timisoara the score remained unchanged. In the front of more then 500 spectators, the show has started on Cluj Arena, in the second quarter when the Crusaders opened the score with a touchdown, followed by a failed conversion. The hosts managed to maintain their advantage and got to the looker rooms with it. 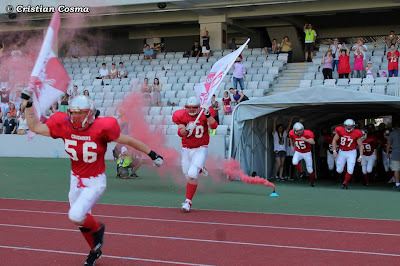 The 3th quarter started better for 89ers, when they managed to take the lead after a touchdown and a safety penalty given to locals. In the last quarter the game tension increased at highest level. 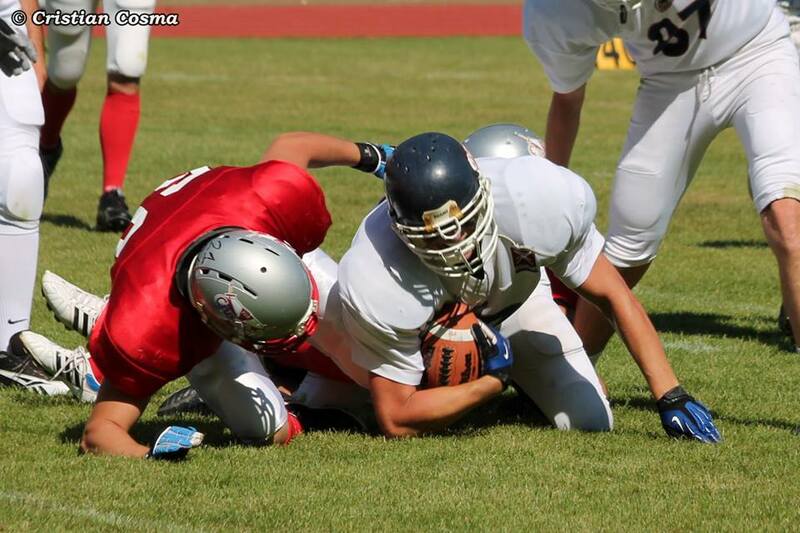 Encouraged by public, Cluj Crusaders were able to impose in the last two minutes of the match, with a touchdown and a conversion, thus setting the final score, 14-8. With this victory, Cluj Crusaders have achieved a perfect season with no defeat, and retained the trophy won last year, thus continuing its supremacy. Check out the photos and highlights under!